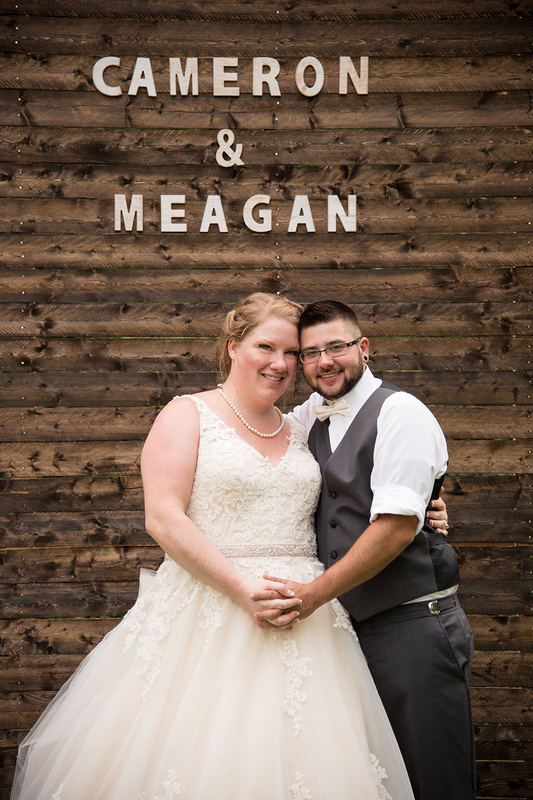 Meagan and Cameron’s Buffalo wedding brought classic elegance to a backyard setting. Fixtures such as the personalized wooden ceremony backdrop, DIYed by the bride, and the huge white reception tent made this backyard wedding feel grander. Yet DIY details let the couple’s carefree and fun personalities and their unique styles show through. All together it created the exact blend the bride desired of traditional elements, like her dream wedding dress, and rustic elements of being outdoors and laid back. The day was filled with laughter and smiles and it was a wonderful capturing sincere moments all day long. It was clear everyone was having a good time, it really showed.